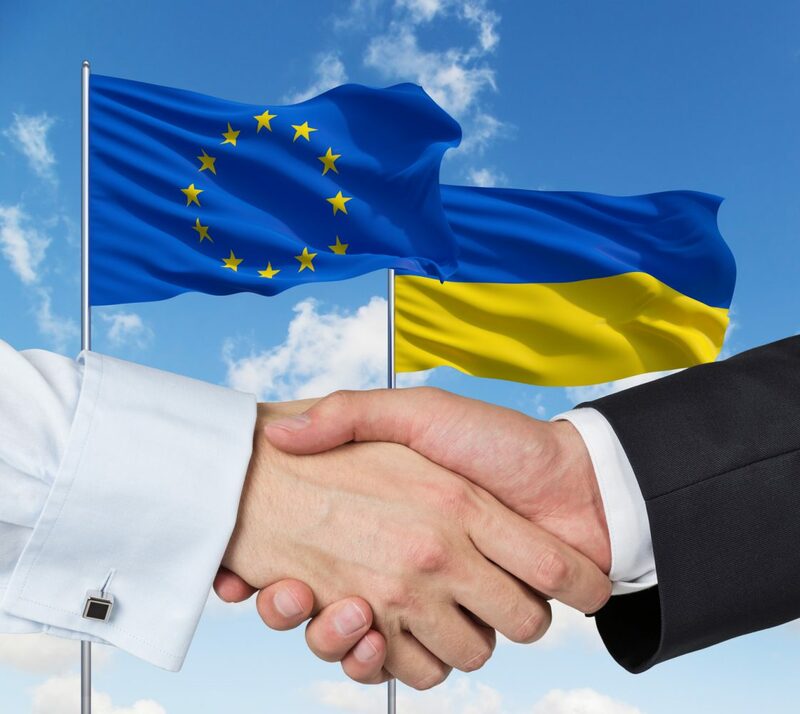 The Association Agreement between Ukraine and the European Union was approved! On July 11, 2017, the European Council completed the ratification of the Association Agreement with Ukraine, a fundamental step towards reinforcing the EU-Ukraine partnership that will now provide new impetus to the cooperation in areas such as foreign and security policy, justice, freedom and security (including migration) taxation, public finance management, science and technology, education and information society. The full implementation of the agreement between Ukraine and the European Union will begin on September 1, 2017. Starting in July, Kiev citizens and visitors of the city can participate in the creative theatrical performance “Vremya” organized by U!ZAHVATI team. It is a really new and unusual show, as well as an amazing opportunity to stay alone with yourself and your thoughts for 90 minutes while taking a fresh look at already familiar places, streets, and the city. 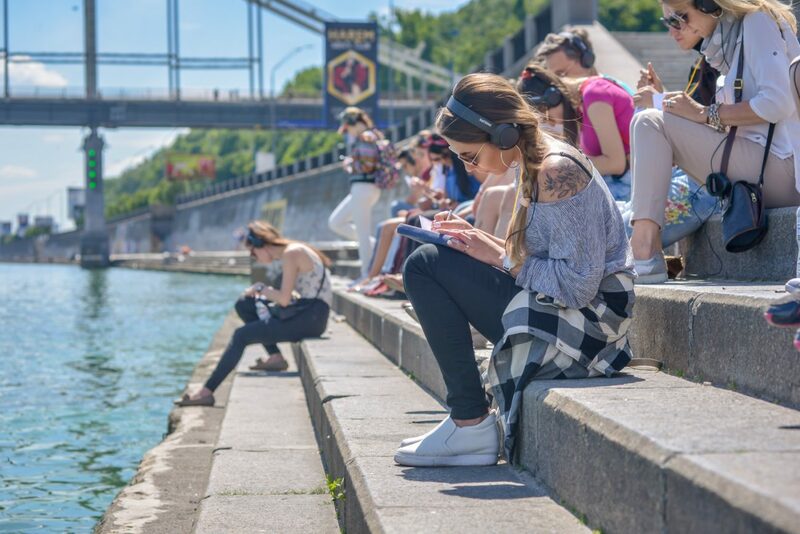 Instead of the traditional sitting and watching a performance on the stage, a group of 33 people move around the city following instructions of a voice speaking through headphones that immerse you in the world of time. Note, that all performances are conducted only in Russian. The performance starts on the Pedestrian Bridge and is conducted from July until the end of September at 7 pm on Tuesday, Wednesday, Thursday and at 11 am, 13 pm, 15 pm, 17 pm on weekends. Welcome to HABANA Restaurant – a trip to Cuba in the Heart of Kiev! Famous for its sensual salsa dances and vibrant music, premium rum, Cuba Libre cocktail, beautiful beaches and friendly people, Cuba is associated with everything relaxing and enjoyable. HABANA restaurant recently opened in the central Podil district of Kiev invites you to dive into its fiery Cuban atmosphere. 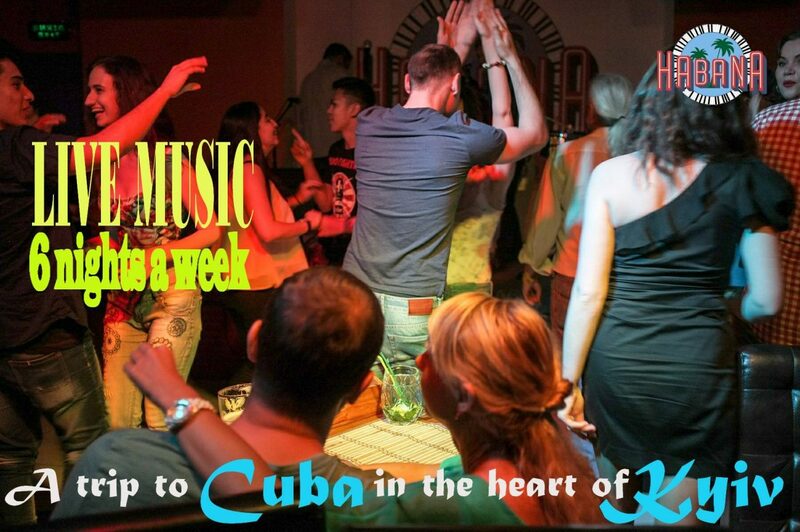 Founded by three enthusiasts from Cuba and Spain, this cozy place is a great meeting spot for both locals and foreigners with live music Tuesday – Sunday, salsa dances, unique original cuisine, and authentic Cuban decor. Don’t miss an opportunity to try their traditional Saoco beverage, a mix of rum and coconut milk served in a real coconut. Summer is the perfect time to discover this place and fall in love with Cuban culture forever! Note, this place is really busy on Friday and weekends so book a table in advance. Address: 24 Verkhniy Val Str.